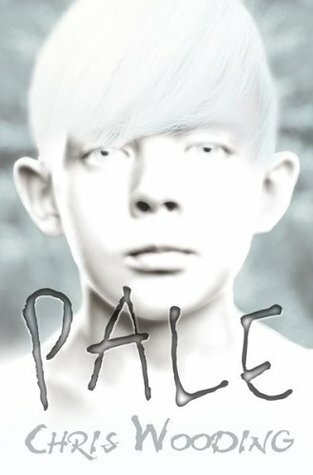 Anyway, as a quick review, “Pale” is a High-Low book (something I am DELIGHTED by as there aren’t enough books written at a low reading level for teens to enjoy. Especially in topics that they’re interested in. So for anyone liking dystopic or zombies or even just for a solid read on bullying and consequences and true friendship…yeah this book has it. Not that I liked the main character. He drove me nuts until somewhere in the last few pages where I decided I really didn’t want him to get what he deserved, I wanted him to be a better…person? The story takes place in a future where the newly dead can be revived with an injection that will leave them…pale. And oh, their hearts don’t beat – they’re still more dead than alive. But yet…still are themselves. Just no longer accepted by society. I find myself thinking about the deeper messages here. About how we hang onto things that aren’t healthy for anyone to hold onto, and then become resentful of the things we’re trying to hold onto. Maybe I get too introspective when I’m sick and I’m seeing more than is there. But all in all, this was a solid read and one I would highly recommend. Especially if you have a teen struggling with reading. They’ll enjoy the story, and you’ll enjoy the fact that as a paperback you can find it for about $6.95 which is a bargain when it comes to high-low books. That’s it, I’m shuffling back to bed. ← Down South meets Japanese meets…STALKERS?